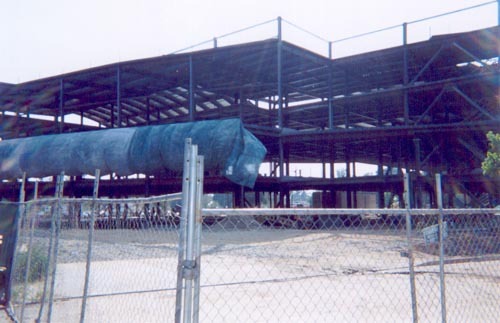 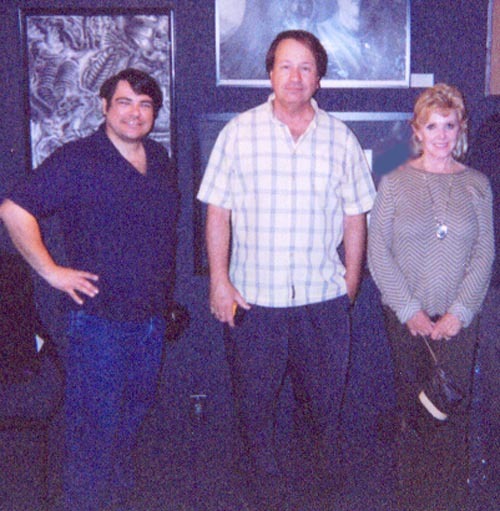 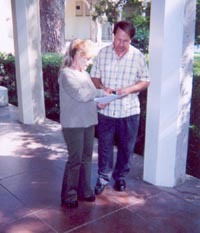 On May 8, 2002, Zodiac buffs Sandy Betts, Howard Davis, Ed Neil and I met in Riverside, Calif. for a few days of research. 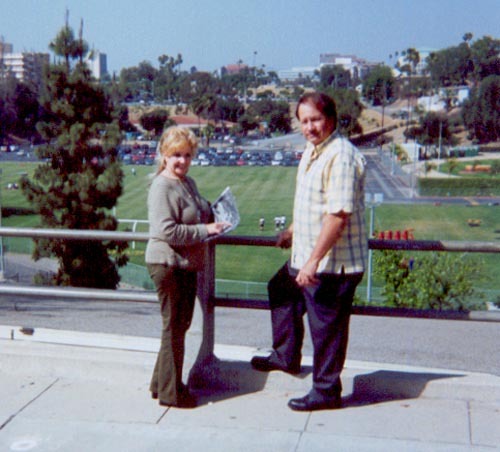 We visited the home of victim Cheri Jo Bates, Riverside City College (RCC) where she was murdered, as well as the Riverside Press-Enterprise newspaper. 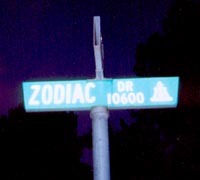 Yes, there is actually a street in Riverside named "Zodiac." 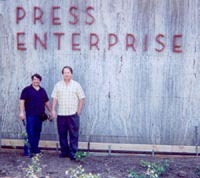 Ed and Howard at the Press-Enterprise. 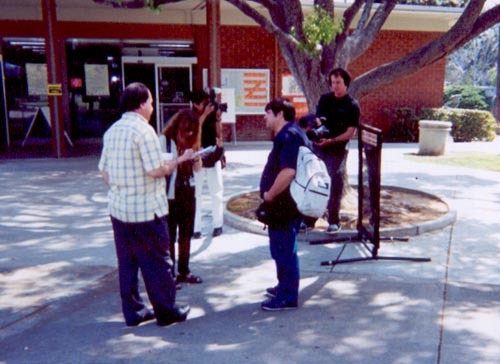 Ed and Howard at RCC talking to the news media. Sandy and Howard compare notes at RCC. 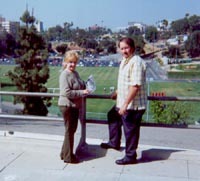 Sandy and Howard enjoy the sun not far from the Bates murder scene. 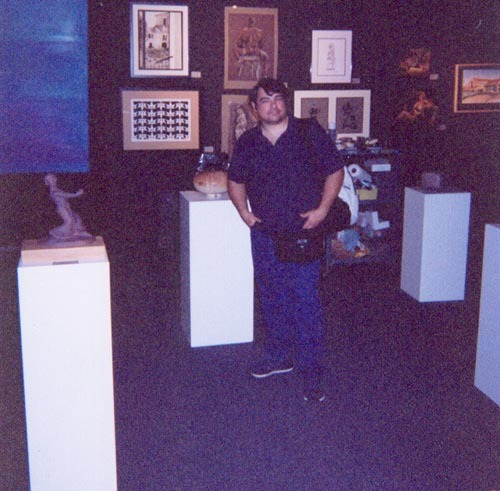 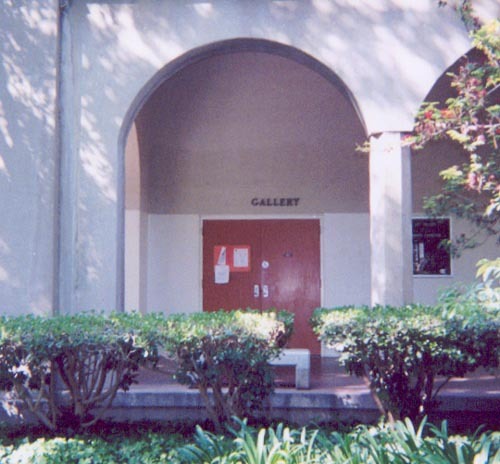 The former library annex, now an art gallery. 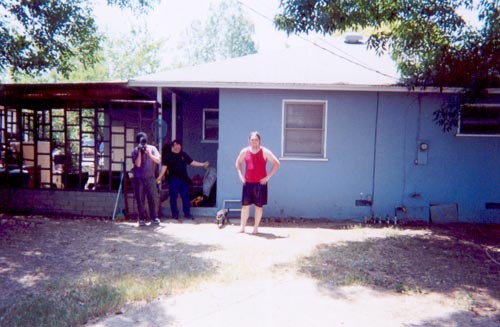 This is where Cheri was last seen alive. 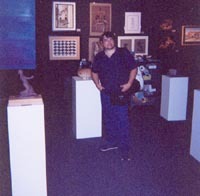 Ed inside the former annex. 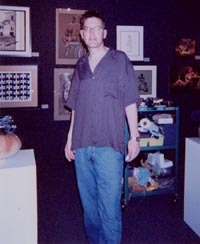 Me in the former annex after too much sun (and beer). Ed, Howard and Sandy in the former annex. 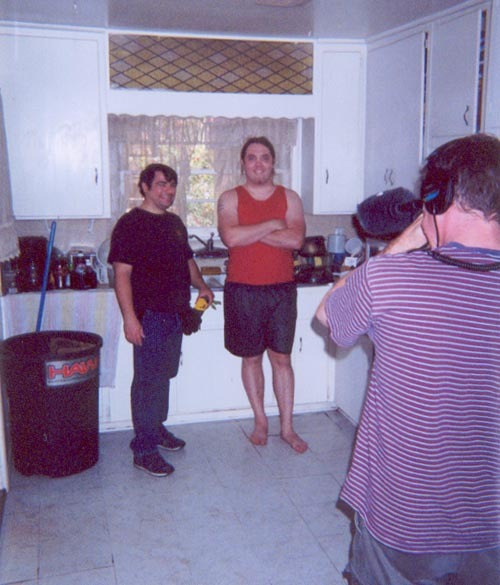 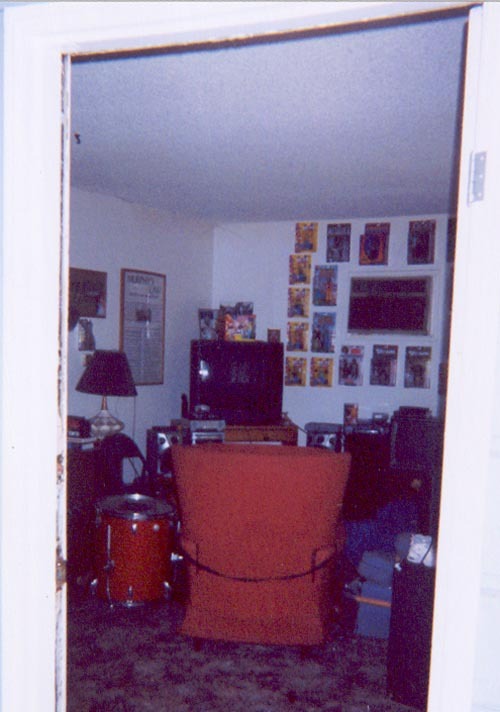 The Bates crime scene, 2002. 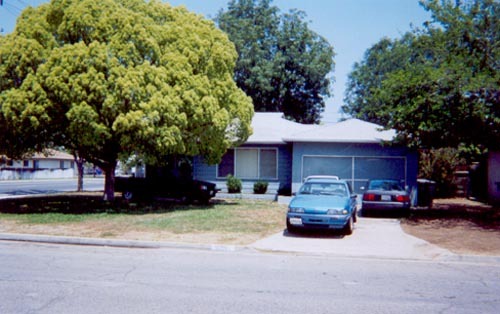 Cheri Jo's former house at 4195 Via San Jose. Looking into the house through the front door. 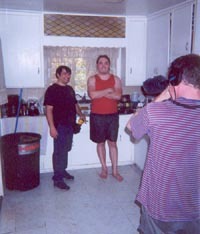 Ed with current occupant Brian in the kitchen. Ed and Brian in the backyard.